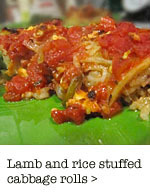 A very nice aspect to this recipe (no matter what season you choose to make it) is that it is fairly one-dish. 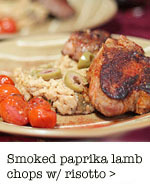 Especially if you marinate in a freezer bag. 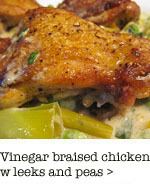 The honey in the marinade should give you a nice, darkened crust to your chicken. 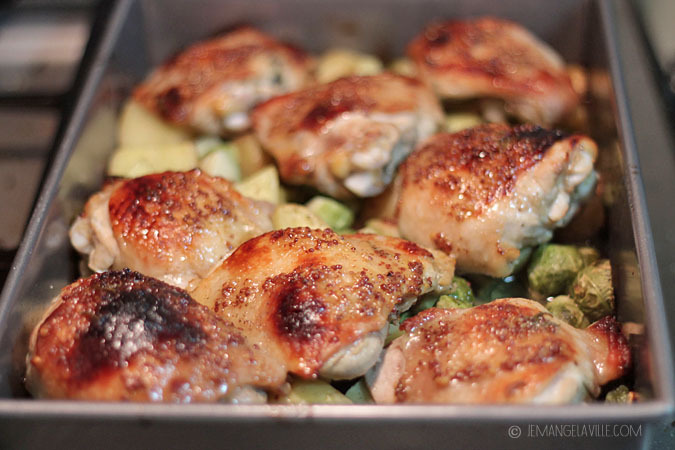 And, like I mention below, the brussels and potatoes aren’t going to get that dark – if you want more color, just pop them under the broiler while the chicken rests. 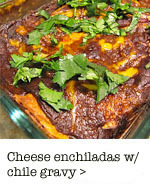 Adapted from a recipe in Real Simple Magazine; serves four. 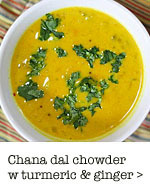 Combine the 1/4 cup olive oil, mustard, garlic, honey, half the rosemary, and lemon zest in a large dish or freezer bag. Add chicken and marinate, refrigerated, for about 2 hours. 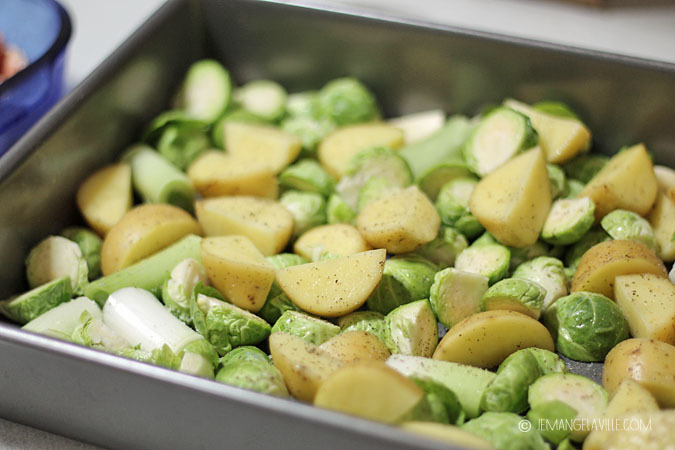 Heat oven to 425 degrees F. Toss the potatoes, Brussels sprouts, remaining rosemary, 2 Tbsp oil, and Â¼ teaspoon pepper, and 1/2 tsp salt in a rimmed baking pan. 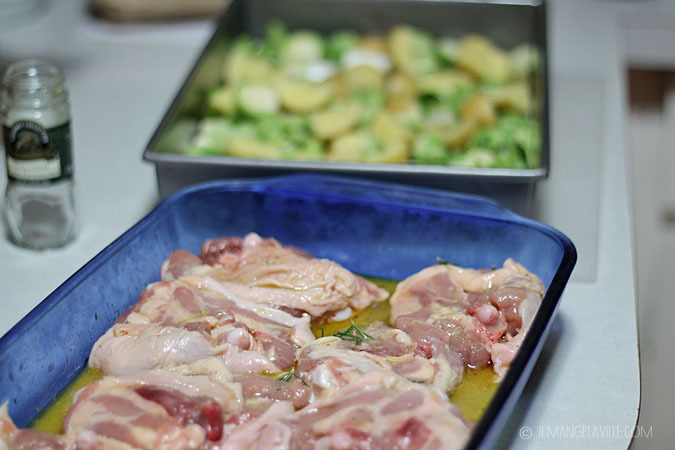 Remove chicken from marinade and sprinkle chicken on both sides with a little salt and pepper and place chicken thighs on top of potatoes and brussels. Dispose of any remaining marinade. Roast the chicken and vegetables about 30 – 35 minutes, or until an instant-read thermometer inserted in the thickest part of chicken (avoiding the bone) registers 170 degrees F. When chicken is done, if you want a bit more color on the vegetables, remove the chicken to a platter and tent with foil to rest. 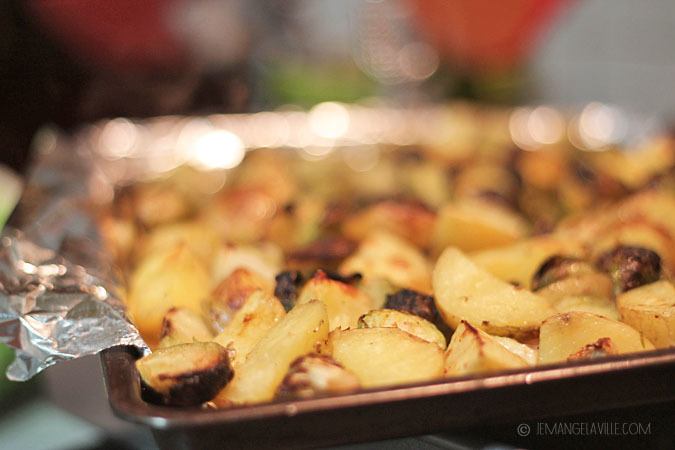 If your original baking pan is not broiler safe, transfer the vegetables one that is and set under the broiler for 1-2 minutes. 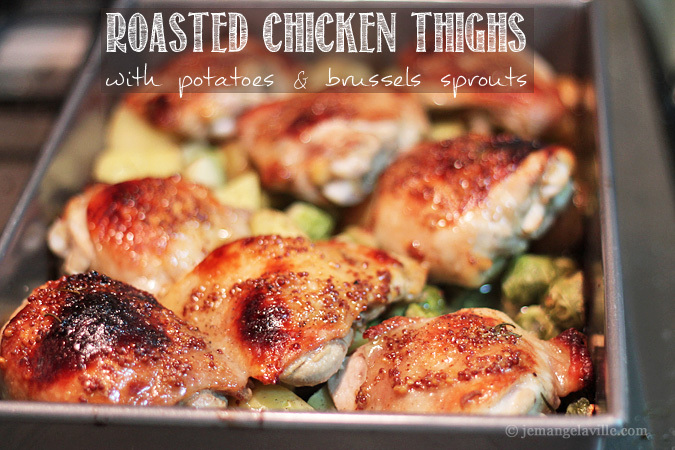 To serve, add the chicken back on top of the potatoes and Brussels sprouts. * It hasn’t been tropical or anything, we just haven’t really gotten below freezing at all. It’s chilly, but not let’s say, wintery. Hopefully, this statement will bring about a February SNOWPOCALYPSE to Portland. You’re welcome.